Electric and county water are available along the front and there are several building sites. This farm has been in this family for many years. It is mostly open with very young pines trees. There are several places suitable to build ponds. 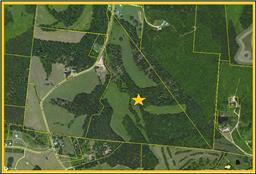 84 acres MOL, to be surveyed by seller. Offered by Town & Country Realtors. Copyright 2019 RealTracs, Inc. Information Is Believed To Be Accurate But Not Guaranteed.